All week we've featured Cherry Guidry's Front Porch collection on the blog. 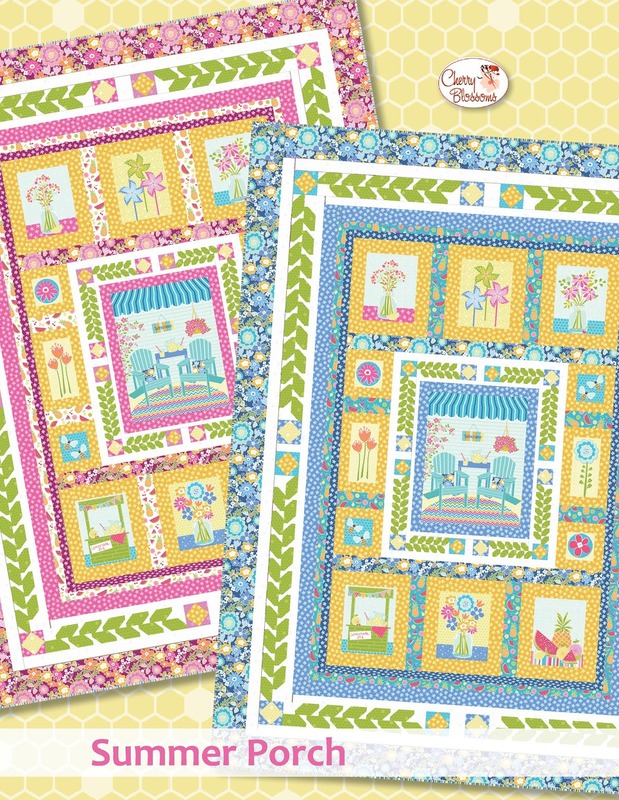 Today we're taking you on a virtual trunk show of Cherry's quilts made with these summery new prints! Patterns for the quilts shown below will be available starting May 4th on Cherry's website. I wanted to make a garden of flowers. The flowers are made from pieced strips—they’re like little robot flowers. I tried them at first using only the blenders, but they needed more interest, so I added in the prints to make it playful. The leaves are appliqued. I absolutely love the way the little sunglass print turned out. I decided to blow up one pair for this quilt. I actually have a pair of readers that look just like this pair. The funky little diamond shapes above add sparkle to the quilt. I had to make a wreath! I pulled the flower designs out of the fabric and blew them up. I modified them a bit to make them work for applique. I love the bees too! If you look closely, you can see that the centers of the flowers have buttons, and there’s hand embroidery as well—the flower stamen and bee legs. The background is pieced to look like it’s on a front porch. 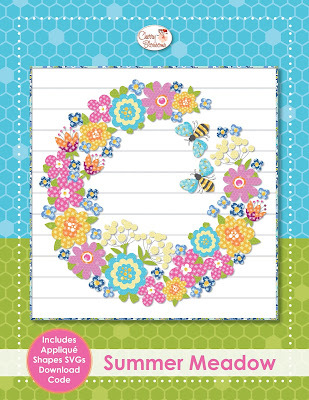 The free pattern uses the panel cut up into pieces, and each piece is surrounded by yellow floral borders. The green leaves create a hedge border, and the hedges run around the front porch (center panel). And in the corners of the hedge borders are little square-in-a-square flowers. 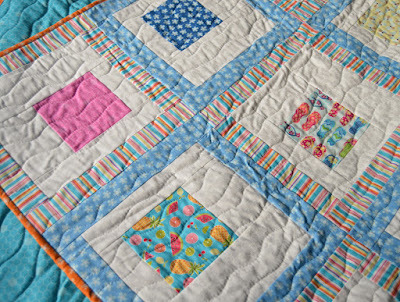 You can make the quilt in either the blue or the pink colorway. 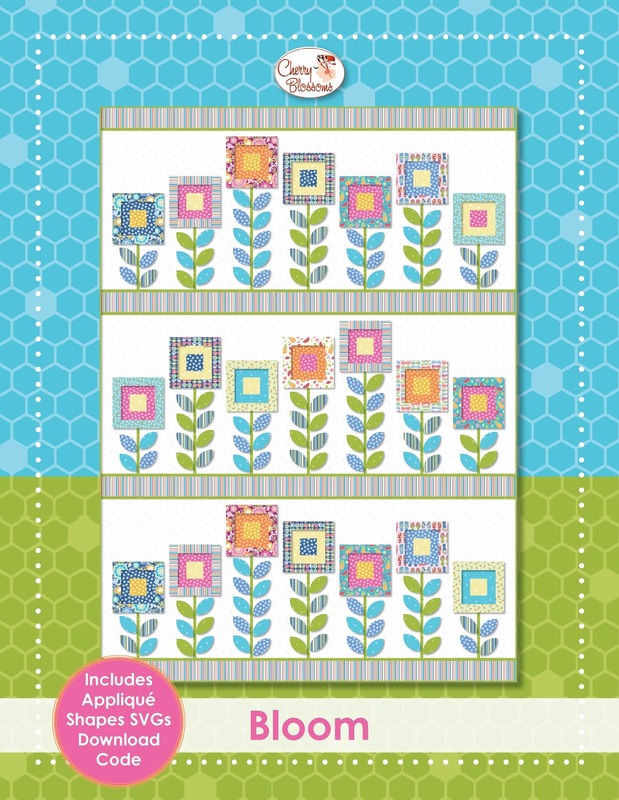 Download this free quilt pattern on Cherry's website. Click here to see the entire Front Porch collection. Click here to read out interview with Cherry. 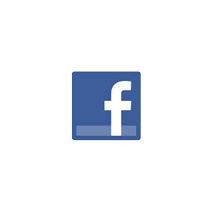 Click here to visit Cherry's website. Pssst! We also featured the Front Porch collection in the spring issue of the Fat Quarterly newsletter. This Picnic Time quilt was made using 5" squares of Front Porch (plus additional yardage). 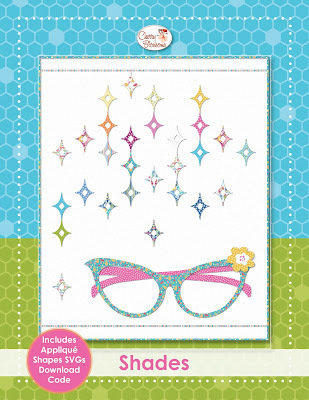 Click here to find out more about the Fat Quarterly and Mr. B's Preview Pack. Summer Meadow and Shades are my favorites.